Country decor has come a long way from exposed raw wood and dark decorating. 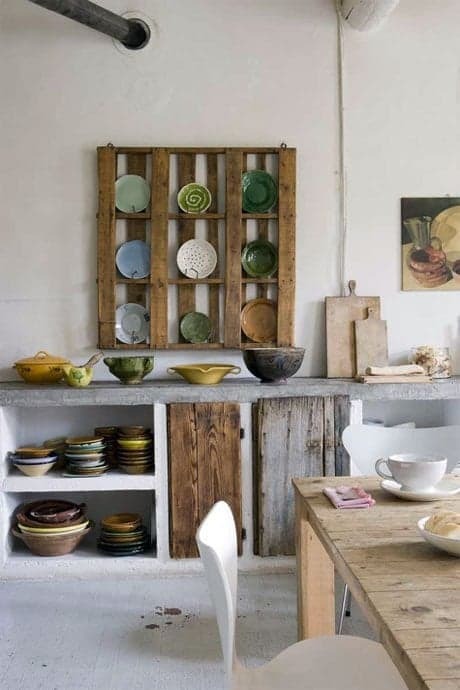 Really cool rustic country kitchen decor is a mixture French, English and Swedish country. 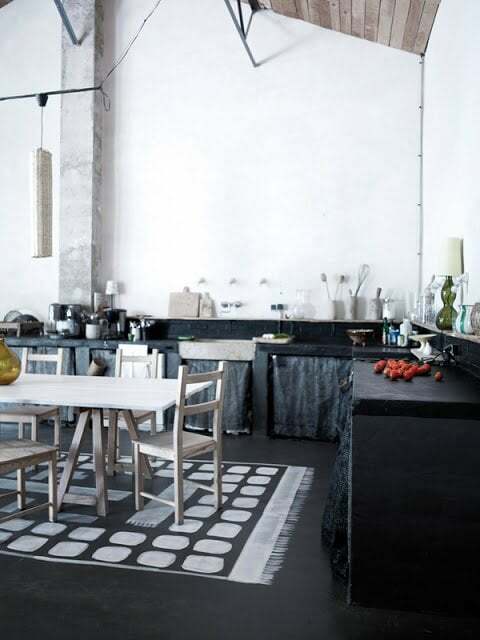 The look is unpretentious and unfinished but charming and simple. 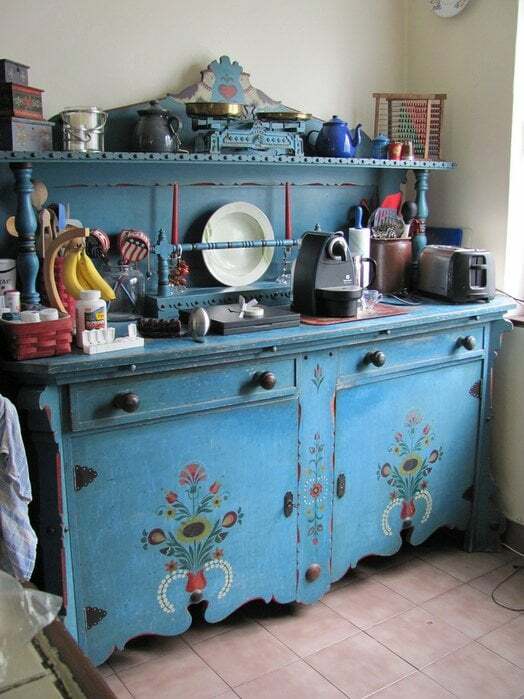 Decor Inspiration a Russian blog has a great selection of what a rustic country kitchen looks like. A country home looking to inspire rustic country decor should embrace aged surfaces, natural woods, simple lines and rough finishes. The floor of a country kitchen can be as simple as naked floorboards waxed and hand polished. You may prefer painted floorboards like white floorboards or the latest trend of painted floor rugs to create a focal point. Rustic furniture often means natural woods or painted furniture with hand-painted designs. Some countries love painting country scenes such as birds, flowers, or animals to bring the outdoors into their country home. Seating often includes a sedan chair, natural woods for rocking chairs, benches or a Windsor chair. 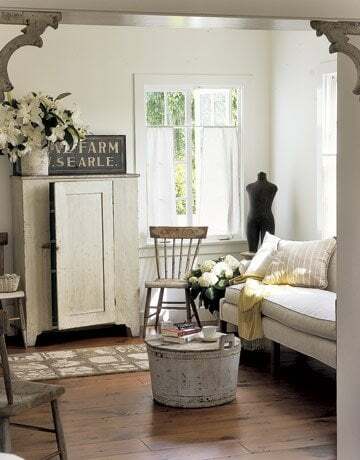 I'm So Vintage has a gorgeous article "A Californian Country Farmhouse". i love the neutral tones and the warm cozy feel of every room. definitely my favorite decor style. the lovely thing about this style is that you can add pieces gradually and the look is one that will last for years. Natural woods feature strongly with dining or kitchen tables made from floor planks, stained pine or painted boards. Always choose a solid piece to make your country home feel warm and grounded. Here's something eclectic; where old and new, rustic and modern and put together to create a new style of country. It's different but it works! Techniques for creating your own country home pieces are easy to find. One simple method is to paint furniture then systematically remove most of the paint, exposing the natural woods underneath. Varnish, stain or wax the painted furniture to give it a weathered look. The country kitchen is still the hub of any country home. And while nothing says cabin more than rough log walls, the combination of rustic furniture, simple white bedspreads and crisp open rooms means not all country decor is dark woods and heavy patterned fabrics. One of the most popular looks today is the white rustic country kitchen with a white rustic background as the perfect backdrop to an eclectic mix of yard sale finds, painted furniture. Let me know if you have your own photos of country or rustic decor that you love! Hope you like this article.. you can always like us on Facebook or tweet about us.. be nice and share!